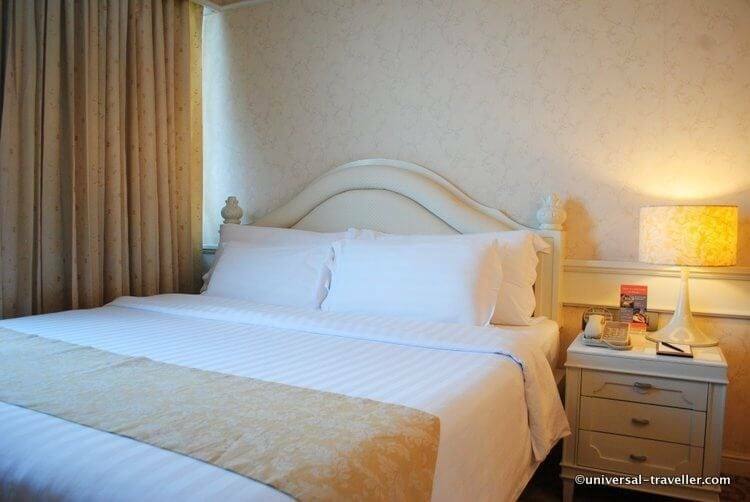 Majestic Grande Hotel Bangkok is a stylish boutique hotel in the heart of Thailand’s capital city in Sukhumvit area. It has 251 rooms on 25 floors. Read here my Luxury Hotel Review Majestic Grande Hotel Bangkok. My first impression of the hotel was very positive. The lobby looks very appealing and in the evening there is a live piano. The staff is throughout friendly and attentive and the check-in was easy and fast. The beautiful pool at Majestic Grande Hotel Bangkok. This is my favorite place in the hotel! The location of the hotel is fantastic. The nearest BTS station is just a 5 minutes walk away and there are many good restaurants in walking distance. Several huge shopping malls can be reached within 10 minutes walking. Majestic Grande Hotel Bangkok is located in the middle of Sukhumvit nightlife and the vibrant Nana nightlife scene is just around the corner. Nevertheless the hotel is quiet and secluded as it is a little removed from the busy street. The rooms are modern and equipped with all necessary facilities such as Flat Screen TV, safety box, tea and coffee making facilities, minibar and refrigerator. Majestic Grande has eight Grande Wonder Suites. They are located on the 25th floor and offer spectacular views of the cityscape. All suites have a seize of 70 square meters with separate living and sleeping rooms. 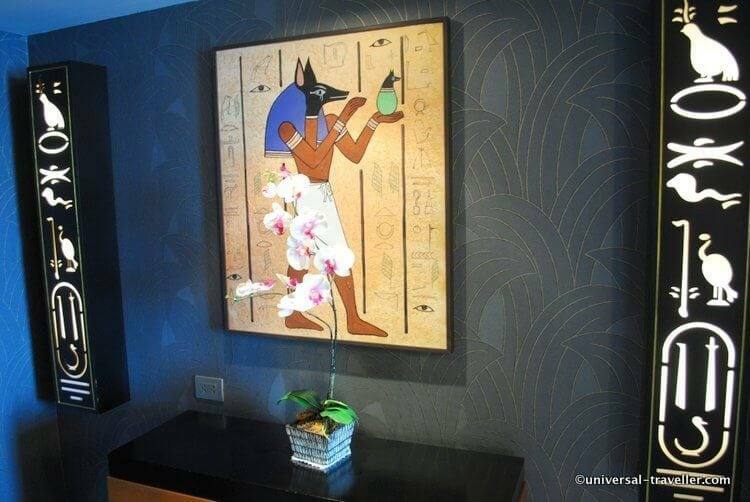 Each suite has a different theme; Versailles, Empero, Maharajah, Pharaoh, Beverly Hills, Venicia, Vimarnsawan or Mayfair. I pretty much like the furnishing and the decoration which reflects the respective theme. 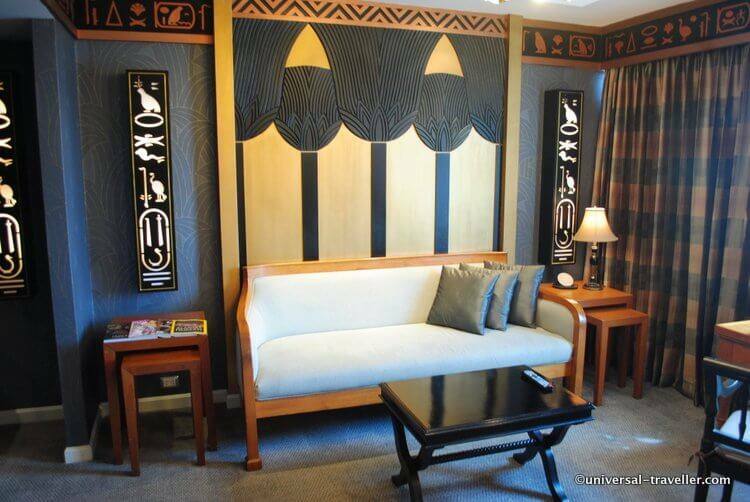 The Pharaoh suite inspired by the richness and magnificence of ancient Egypt. 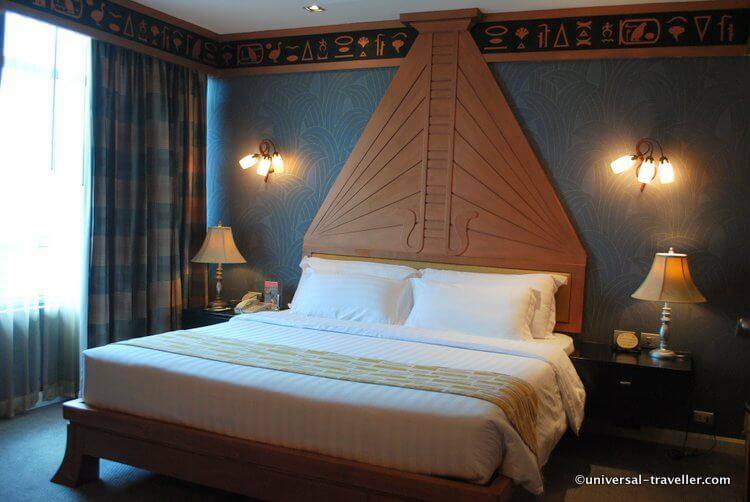 The sleeping room of the Pharaoh suite. I really like the decoration. The theme of each suite is reflected in every detail. 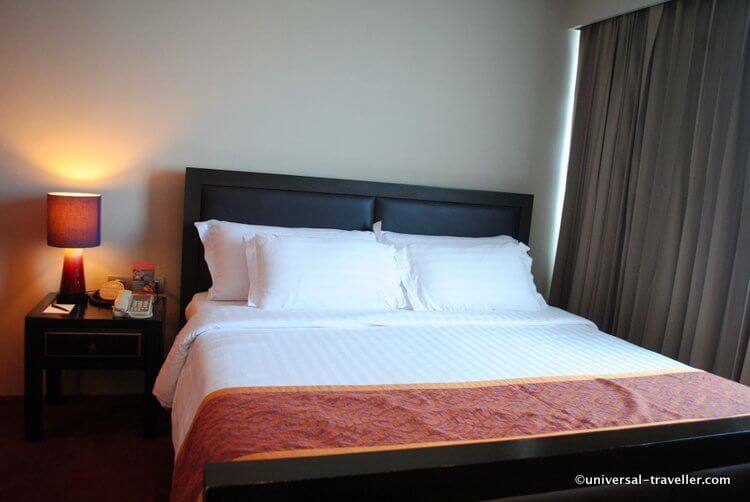 The beds at Majestic Grande Hotel Bangkok are really comfortable and guarantee a nice sleep. The Versailles suite with classical French décor. It represents the elegant style of fashionable Paris in my opinion pretty well. 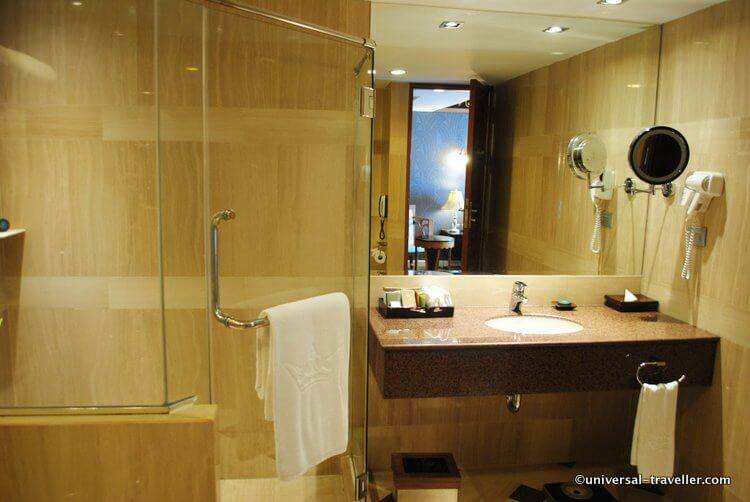 All suites have a huge, fully equipped bathroom. The highlight is a luxury private Jacuzzi. The breakfast & lunch buffets offer an ample selection of food and beverages that cater for all tastes. For breakfast you can choose amongst others of smoked salmon, sushi, salads, bacon, eggs, asian dishes, thai noodle soups and fresh fruits. The hotel has its own bakery and bakes delicious bread and pastries. You should definitely try it when you are there! I also really enjoyed the lunch buffet and once again ate way too much as i wanted to taste everything. You can assemble your own salad, choose between different thai dishes and try fresh seafood. I can once again recommend the house made pastries. 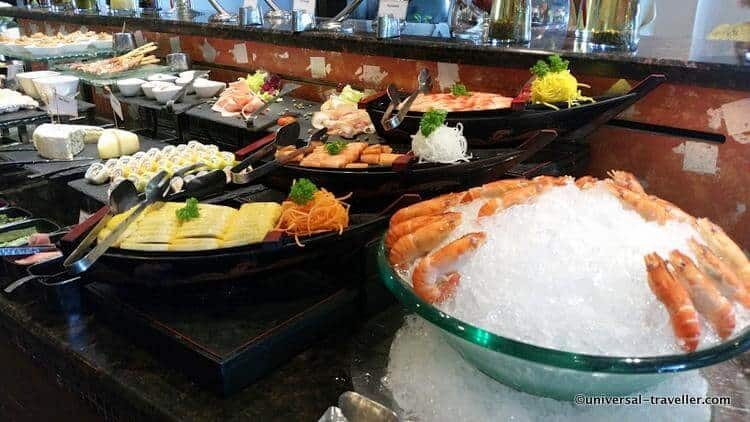 The lunch buffet offers an ample selection of food and beverages. The hotel has one small bar in the lobby with a Happy Hour from six to seven pm. When you check-in you get a voucher for one free non-alcoholic drink. Besides that there is a new indian restaurant on the ground floor, The Great Kebab Factory which offers every day a different menu. Alternatively you can have lunch and dinner on the 7th floor at the same restaurant where they serve breakfast. 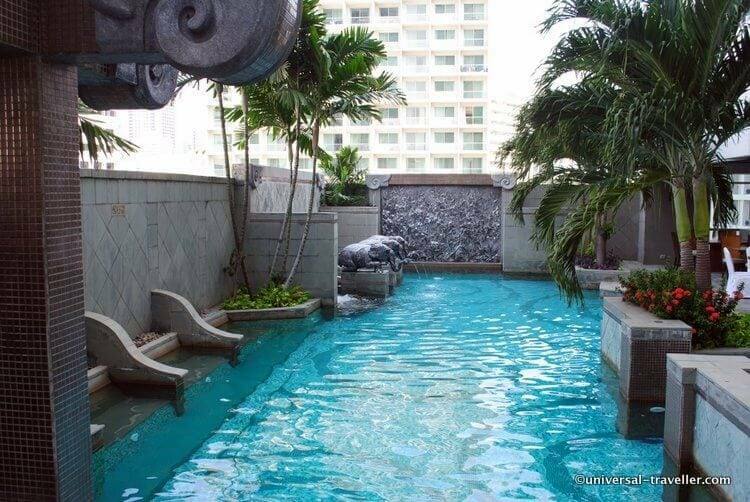 Majestic Grande Hotel Bangkok has a wonderful outdoor swimming pool on the 7th floor with beautiful elephant featured fountains. Next to the pool are comfortable sun lounger and the restaurant is just beside the pool. 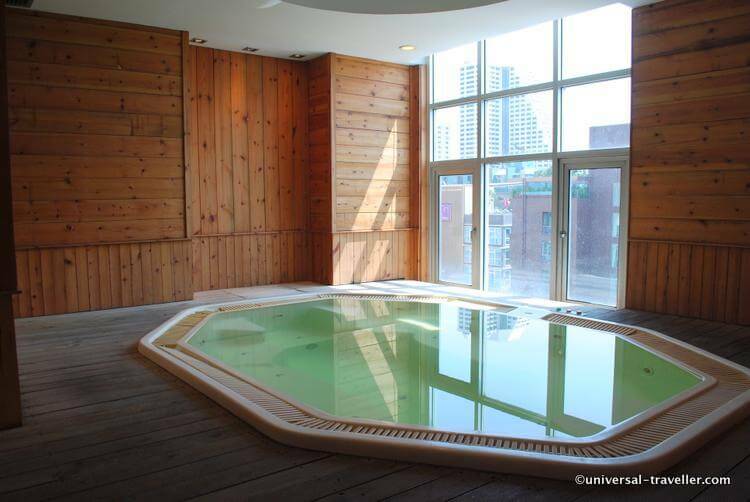 In the locker area there is a sauna, a steam room and a jacuzzi that can be used free of charge. I got the chance to try the Swedish massage which I enjoyed very much. You can also choose a traditional thai massage, back or foot massage or head & shoulder massage. The Jacuzzi – The perfect place to relax after a long day of sightseeing or shopping. The staff is very friendly, helpful and attentive. 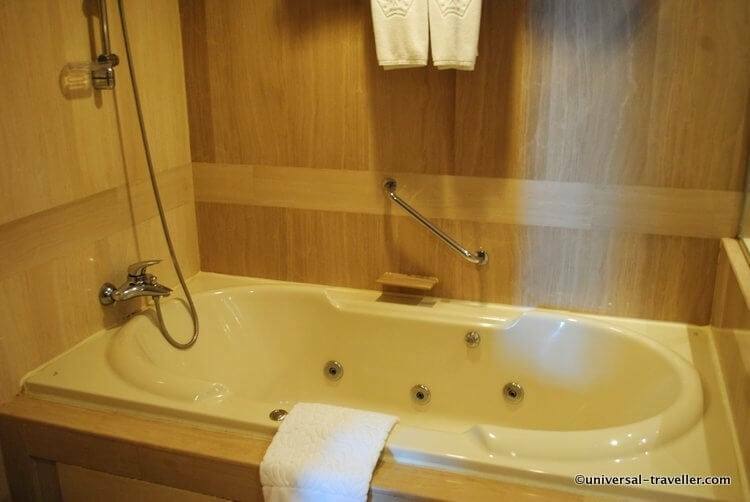 In the changing rooms there is a Jacuzzi which every guest may you free of charge. The pool area is a great place to relax and the pool itself big enough to exercise a bit. After sunset it is nicely illuminated. The house-made bread and pastries are delicious! The location! The next big shopping malls are only 10 minutes away by walking and many good restaurants are in walking distance. The next BTS station is only 550m away which makes it very easy to avoid Bangkok’s traffic jams. The concierge was very helpful and explained the cab driver where to go. The breakfast and lunch buffet is very good and caters for all tastes. I really enjoyed the Swedish massage. 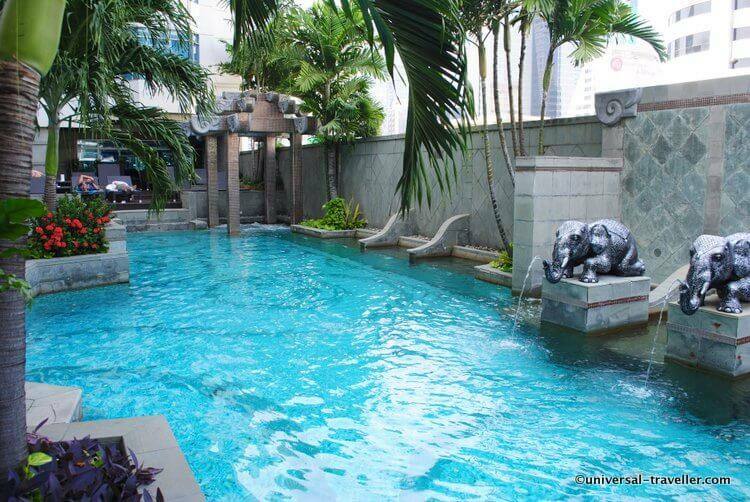 Pool area with beautiful elephant featured fountains. I have had a great time at Majestic Grande Hotel Bangkok and recommend the hotel for your stay in Bangkok. 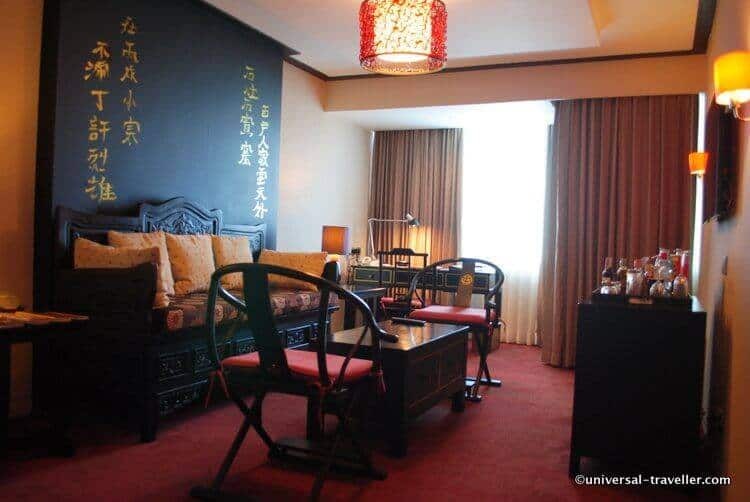 The staff is very friendly and attentive and the rooms furnished with love. 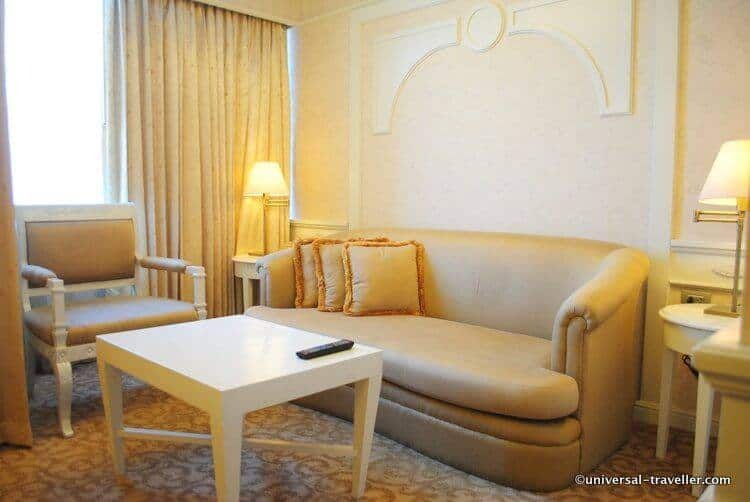 The hotel is very centrally located with a good connection to public transportation. The breakfast and lunch buffet offers a wide range of delicious food and the own bakery produces amazing pastries. Disclaimer: I was a guest at Majestic Grande Hotel Bangkok, Thailand. My opinions, as always, are solely my own. wow – looks super luxurious! I love the jaccuzi.